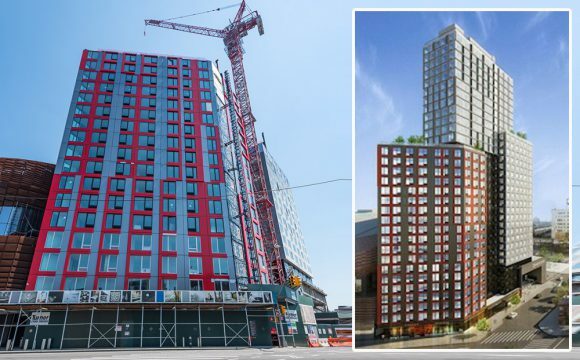 The first 181 affordable home units, at the highly impressive and stylized 461 Dean Street, will be offered to applicants through the New York HPD lottery. The 32-story modular construction building is part of the huge Pacific Park improvement project. This project includes Barclays Center and other Forest City development projects in Downtown Brooklyn. In total there is over 22-acres in the Pacific Park project and is the largest Brooklyn development project. The current administration’s drive for affordable housing in New York has put a new focus on new developments. New developments that have affordable components for real estate addled New Yorkers distress. Local renters struggle to locate homes in the smallest and the most expensive leasing market in the nation. As usual, there will be extraordinary competition for these 181 apartments as well the rest of the Pacific Park units that are affordable. The process to get one of these coveted units is pretty simple for anyone willing follow directions and to get educated. According to the project developer, Forest Ratner Companies, 461 Dean Street may be the highest modular building in the globe. 461 Dean Street is also designed by SHoP Architects. There will be 4,000 square feet of retail at the building base. 50% of the 363 homes will be income restricted to low, average and middle income New Yorkers. The building is located on Dean Street between Sixth Avenue and Flatbush Avenue. The building will have an anticipated opening date of fall 2016. The lotto for 461 Dean Street is for families with below-median incomes. If you are seeking more information you may call 718-246-8080 x224 to find out more. The e-mail address for lottery advice is 461dean@mutualhousingny.org. Teddy Roosevelt of Tech, The American Dream of Digital, Millennial Marketing Magician, Social Savant, Spurs Fanatic & Teddy's Dad.